Deciding on how to get around the European hotspots on your European vacation? 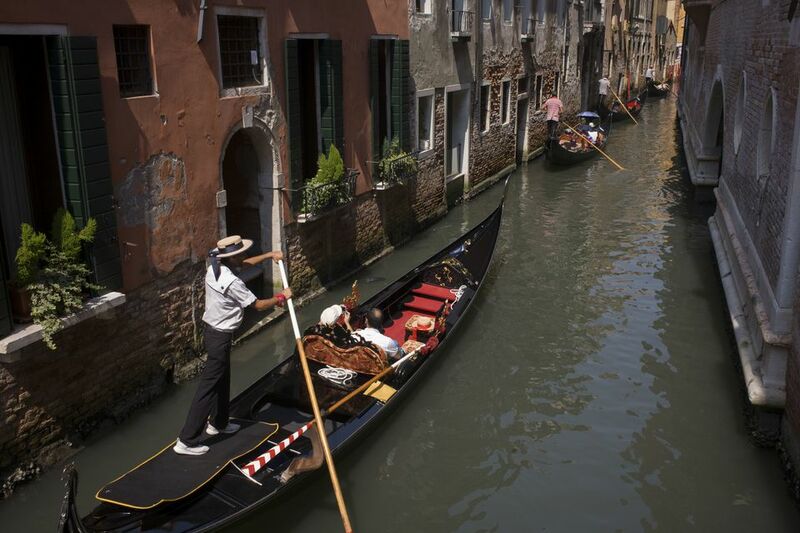 Here's how to find your way from Munich to Venice using public transportation or a rental car. The nice thing about this trip is the contrast between the Bavarian city of Munich and "La Serenissima." The Alps separate the two cities, meaning that the food, architecture, and language are radically different in these two compelling European destinations. This is one of Europe's more scenic routes, so it's best to plan it in the daytime. The average train makes the journey in just under seven hours. You can buy a Germany Rail Pass to use on the journey, but don't do this if you are not planning considerable train travel in Germany as it is quite expensive. The Austrian city of Salzburg is around an hour and a half from Munich, making it a great stop on the way to Venice. It is appropriately 190.5 miles between Munich and Venice as the crow flies (306.5 kilometers). It should take you about 5 1/2 hours to drive between the two cities. This assumes you'll use the faster toll roads, free in Germany but expensive in Italy. Also, the direct route passes through Austria, and to drive on the Autobahn in Austria you'll need a windshield sticker called a Vignette. Instead of tolls collected as you go, Austria makes you pay the yearly toll fee all at once. You need to have this Vignette installed on your windshield before you enter Austria, so beware, there is a very steep fine. If you choose to fly, non-stop flights from Munich's Franz Josef Strauss Airport reach Venice Marco Polo Airport (IATA: VCE, ICAO: LIPZ) in about an hour, but when you factor in check-in times and transferring to and from the airports, your journey time will be closer to four hours. For Munich, there are lots of things to do in the city. Foodies will want to head over to the Viktualienmarkt, Munich's farmers market, where you can sample great food or hang out in the enormous beer garden. In Venice you'll have a chance to stretch your legs a bit on flat land, searching out the best Cicchetti Bars any time you're feeling like a little Venetian snack or a dribble of wine (an ombra, by the way). You can splurge on a Gondola ride when you get tired, or take the cheap route and explore the other islands on a Venice day trip. If the crowds get to you, you can head off for Padua or Ferrara, both are quick train rides away from Venice.